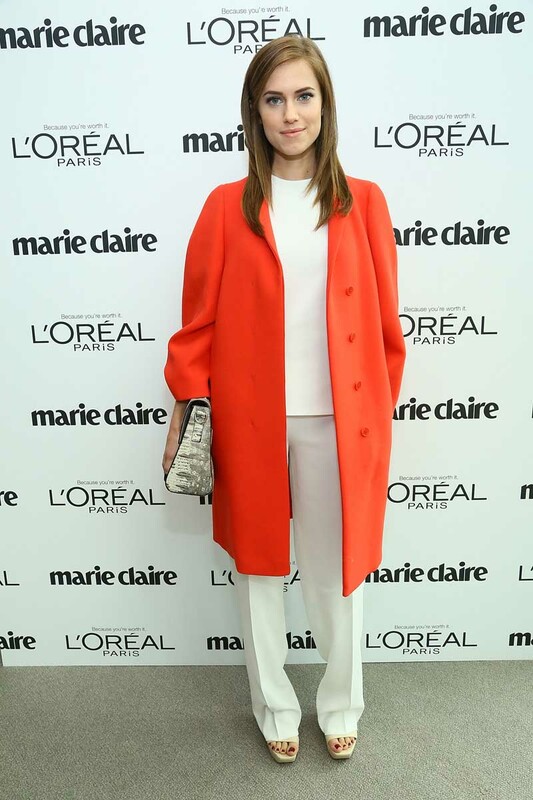 NEW YORK, Oct 30, 2013/ — Calvin Klein Collection wardrobed actress Allison Williams for Marie Claire’s Power Women Lunch held today in New York City. Ms. Williams wore a white silk top and pant from the Spring 2014 Calvin Klein Collection, and a fire double faced wool crepe coat from the Pre-Fall 2013 Calvin Klein Collection, designed by Francisco Costa, the brands’ Women’s Creative Director. Ms. Williams also carried a Calvin Klein Collection white and black lizard shoulder bag.